As a fledgling snowbird last year, I was clueless how to begin arranging for winter quarters in unfamiliar territory. Knowing I didn’t care to spend another winter at the mercy of blizzards or berms, I began asking friends who traveled to warmer climes where they went and how they located turn-key housing. That resulted in a list of places to consider south of Monida Pass, which my husband and I both found appealing. 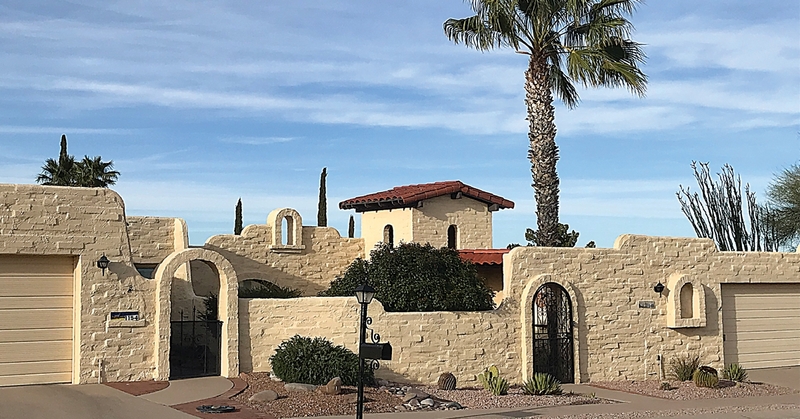 We eventually targeted the Sonoran Desert as our destination and loved that region; however, our lodging admittedly came with its share of challenges. In retrospect, we did plenty of things right for first-timers. But we also did plenty wrong. No matter, we acquired useful lessons along the way that other potential snowbirds might benefit from. For anyone pondering a southern migration for the first time, these five tips may prove helpful. If you’d rather omit the middleman, you can always check online posts or newspaper ads, and deal directly with the owner. However, our friends recommended contacting a property management company to identify rental possibilities, and we took that advice. They showcase available properties on their websites, where you can read details plus see interior and exterior photos of each rental. These companies also handle any maintenance issues that might arise, and, in our case, arise they did. Instead of trying to reach an absentee owner to fix things, we simply contacted the agency. When a joint under the kitchen sink collapsed with a sink full of soapy water, we called, and they dispatched a plumber pronto. When the microwave and garage door opener quit working, we again called, and they sent someone to take charge. Ditto for the army of uninvited tiny ants that invaded our kitchen. To our surprise, we discovered that leases for many properties are often signed a year in advance. Since I didn’t begin our search until May, I quickly realized that rental agencies have few options left by springtime. That could mean you end up staying a different length of time or in a different type of accommodation than anticipated. For us, this translated to renting for three months instead of our original plan of one month. This turned out to be a good decision (more about that later). We also signed on the dotted line for what was still available that also included a washer and dryer—a 565-square-foot casita. This turned out to be a bad decision. I confess I am one of those people who has trouble envisioning spatial configurations. So when I chose a 565-square-foot rental, I had no idea I would be living in a home the size of a walk-in closet for three months. Okay, not quite that small but you get the picture. In addition, two of the casita’s four windows faced the cement wall of the communal laundry while the remaining two faced the interstate. To top it off, there wasn’t even a skillet in the kitchen in which to fry an egg or a plate smaller than a carving board for salad or dessert. The good news was that we could break our lease agreement. The bad news was that the agency had only one home left, which hadn’t been rented because it was being remodeled and was a work in progress. Nonetheless, we took it as we needed housing, needed it immediately, and were in no position to be fussy. This ended up being a much larger and nicer home in a lovely neighborhood, which unsurprisingly cost more to rent. But by this point, we were grateful to have a roof over our heads, lots of room, and several skylights. Hence, the ants, plumbing, microwave, and garage-door snafus seemed more like minor inconveniences than disasters. For the past three decades, my husband and I have flown to Florida to visit family when the frigid winds of December and January blew into town. I thought I knew what to expect in terms of winter weather in other southern climes. It would be like Palm Beach County, I assumed for some unfathomable reason. Consequently, I packed mostly clothing that was suitable for hot summer weather. Alas, high desert in winter bears no resemblance to coastal Florida during that season. Yes, we managed to avoid ice and snow, but we weren’t exactly basking in the Bahamas either. Occasionally in January, I was as cold in the desert as I’ve ever been in the Flathead and not nearly as well prepared for it. Fortunately, a nearby thrift shop came to the rescue along with my predilection for layering. Since this was a new experience, initially my husband and I didn’t want to commit too many weeks or dollars to the venture. That’s why we had thought a month would suffice. But due to the lack of available choices when we began our research (primarily three-month properties and not many at that remained), we decided to extend our stay another two months. Considering we were going to the effort of closing up the house, emptying the fridge, and blowing out water pipes anyway, we figured we may as well stay longer. And that was definitely a right decision for us. After all, packing for three months is no harder than packing for one. But beyond that, we soon realized we needed ample time to familiarize ourselves with this new territory. GPS apps and maps help but there’s nothing quite like developing a mental map in your head to visualize how to drive to your destination — be it a supermarket or cinema. We also did something new every day to better acquaint ourselves with the area. This included exploring various birding and picnic spots, sampling chiles rellenos at every Mexican restaurant we heard about, and browsing through an array of regional farmers’ markets.